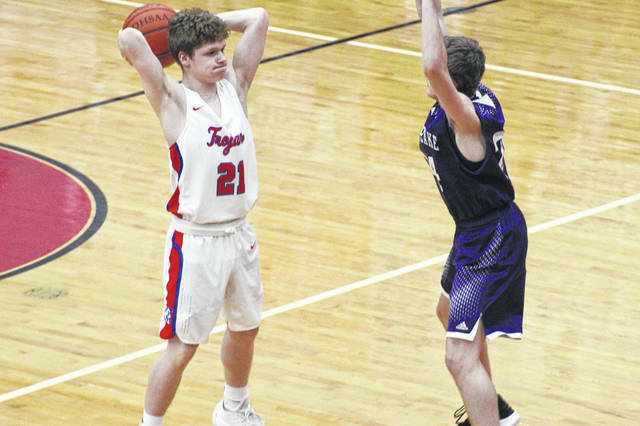 Portsmouth fell to Chespeake 60-31 at home Tuesday night marking this the Trojans sixth straight loss. PORTSMOUTH – The Portsmouth Trojans are in a slump, there’s no denying that. After their loss on Monday to fellow OVC rival Chesapeake at home 60-31, the Trojans have dropped their last six games by an average of 18.3 points per game. A slow start sums up the Trojans night to a tee. Portsmouth trailed the Panthers 21-2 with just a minute remaining in the first quarter, and things only got worse from there. Chesapeake took a 33-13 lead into the halftime locker room before extending that lead to 47-20 after three. When the final buzzer sounded, it was the Panthers who walked away with a 29 point road conference win over the Trojans. Portsmouth was led in scoring by Miles Shipp who finished with a team high six points, all of which came in the first quarter. Chesapeake was led in scoring by sophomore big man Eli Archer who finished with 17 points. Moving forward, things don’t get any easier for the Trojans in the final week and a half before tournament play. Portsmouth will have senior night this Friday when hosting the OVC’s top team in Fairland and will then finish out the regular season with three straight road trips to Rock Hill, Gallia Academy, and Ironton. Chesapeake: 23 FG, 8 3PT (Cox, Blankenship 2), 6/9 FT.